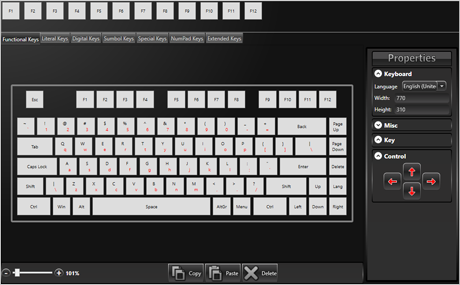 Keyboard functionality for Java Swing software that runs on touchscreen terminals. Make any digital information kiosk that uses a Java Virtual Machine software as responsive and convenient to use as a hand-held mobile device. The library includes two predefined keyboard layouts - Default and Extended. 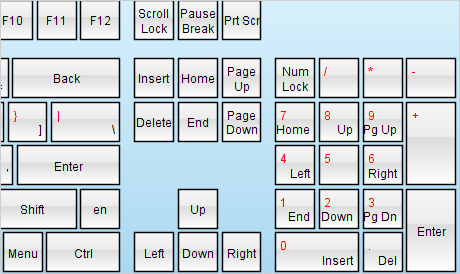 The Default layout is similar to a laptop keyboard without a numpad. Extended mode corresponds to a full keyboard with numpad and navigational key sections. 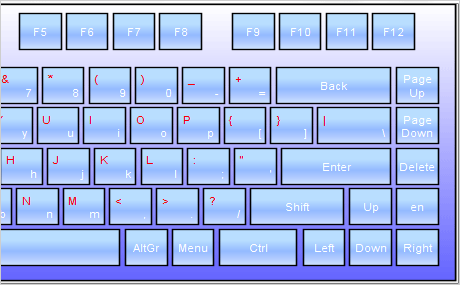 The Keyboard Creator tool lets you quickly generate initial layout by choosing a language from the property palette. 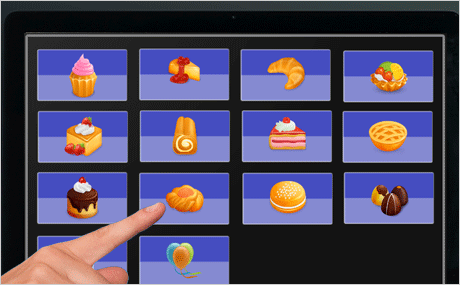 Then you can remove unnecessary keys, move or resize existing ones or change their labels. The library supports themes for the keyboard appearance and templates for the appearance of keys. There is a set of predefined themes provided with the component.